Is bokashi cost effective? Yes! 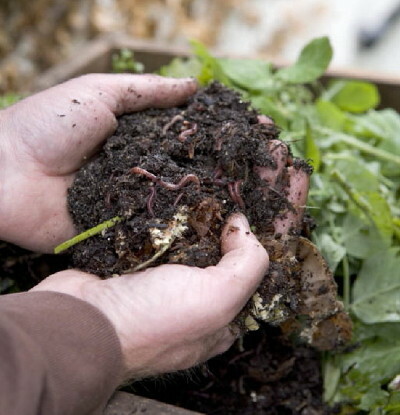 In this article from the Kamloops Daily News, Deanna Hurstfield is looking to start a bokashi composting network where she lives. It has a good overview of the process. Bokashi seems to offer many advantages, Hurstfield said. The catch? It’s not cheap. There are bokashi kits available through Internet dealers, she said. The costs of those systems appear to run at about $20 to $30 a month for all the supplies, substrates and microbe mixes. I’ve been generous on the amount of bokashi you need for a year. Although I say that a 1Kg bag of bokashi will last 2 – 4 months, I’ve had customers come back for a second bag after 6 or 9 months, even a year later. Recently, a small office re-ordered a bag of bokashi nearly two an a half years after their first purchase! While my competitor’s prices probably do come close the article’s monthly estimate for the first year, the cost in the second year is much lower. "If we can find a microbiologist who can help us figure out what is in there, we can cut the costs even more," she said. It isn’t hard to find what is in the bacterial culture used to make bokashi. 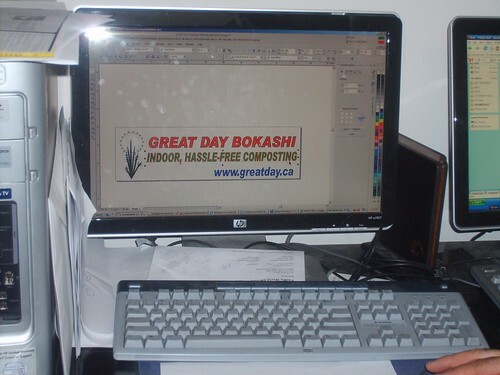 This blog post from 2007 addresses the issue of making and using your own friendly microbe culture, as does Bokashi Composting. Over the past four months since we started fostering Chloe, I’ve been noticing the damage to lawns caused by crows and other critters going after the grubs of the European Chafer Beetle when I take her out for a walk. Last week I decided to do something about it. 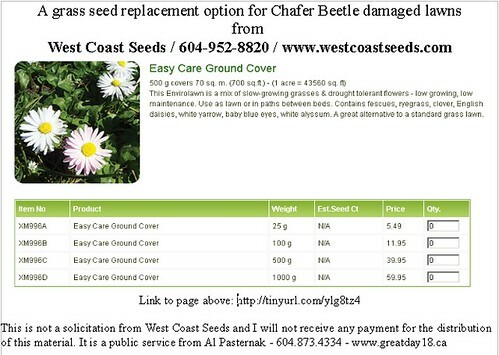 I created a flyer that I am distributing only to houses that have lawn damage clearly attributable to the Chafer Beetle. It isn’t hard to figure out. 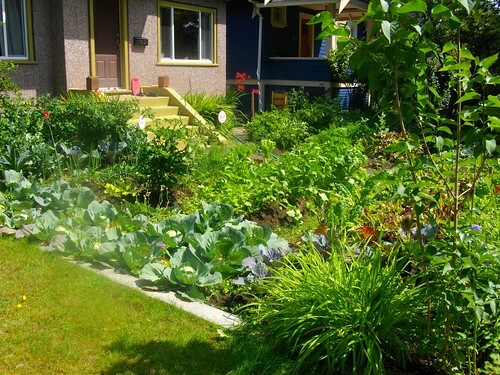 but if you are going have a lawn, use a grass seed that doesn’t require much mowing or watering. The product above meets that criteria. So far, I’ve walked between Cambie and Main from 16th to 19th and plan to go all the way up to 24th. Then I’ll do the same route between Cambie and Oak. It takes me about an hour at a leisurely pace and Chloe loves it too. "Without the ability to grow our own food…"
Without the ability to grow our own food, we leave our children and grandchildren held ransom to buy food on the world market from whatever source, of whatever quality, at whatever price. First General Manager of the B.C. Agricultural Land Commission. is at 1935 West Broadway across the street from the big box FedEx Kinko’s*. They let me access the internet, download files and edit them without charging me a penny. 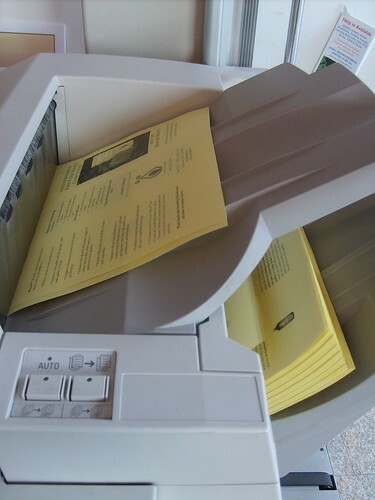 They printed the files directly from the computer, so there were no darkened images. There is the fixed priced and the "I’ll give it to you for this much" price. The deal price is probably built in, but it feels good anyway. However, nothing prepared me for what happened on Tuesday evening this week. "Yeah. Yeah. Its okay. Take it now." So I did and came back a few hours later. I have experienced a casual, but professional work environment. 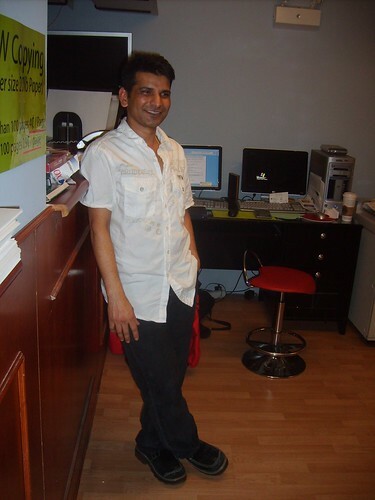 When I went to InPrint in May, I made a decision not to worry about how long it would take get what I needed done. I haven’t tried them on a rush order yet. They are sometimes very busy so patience is required. Usually that pays off in more attention for you when most needed. And you may see some customer interactions that are worth the price of admission! 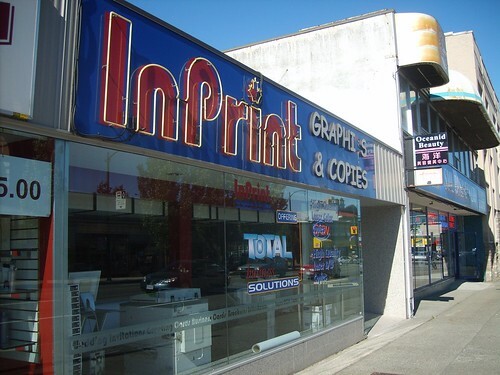 *long time Vancouverites will remember that the Kinko’s current location was also home to Cardz Computers – I worked there for six months in the early ’90s. DON’T WATCH THIS VIDEO [the link above]. I’m serious. This message isn’t a hack (I’m the guy in the video), and it’s not a ploy to get you to actually watch it (reverse psychology). It’s just that there’s a hole in this argument big enough to drive a Hummer through because of an assumption I didn’t realize I had (isn’t that just the way with assumptions. . .), and the argument has been UPDATED to address that hole. The cost of doing nothing is a lot more expensive and disastrous. Click, watch and share with everyone. Then do something – change public policy – to avoid the negative [far worse] scenarios. Click through to YouTube to see all the supporting material. Today, someone asked me what my vision was with this business. This is how I responded…. I want to collect the Bokashi prepared material that people cannot dispose of and process it at a central location. I want the compost produced there to be used to grow food. I want some that food given to the people who provided the compost material to show them that their efforts did make a difference. “Eat food. Not too much. Mostly plants.” All the nutrition information you need in 7 words.